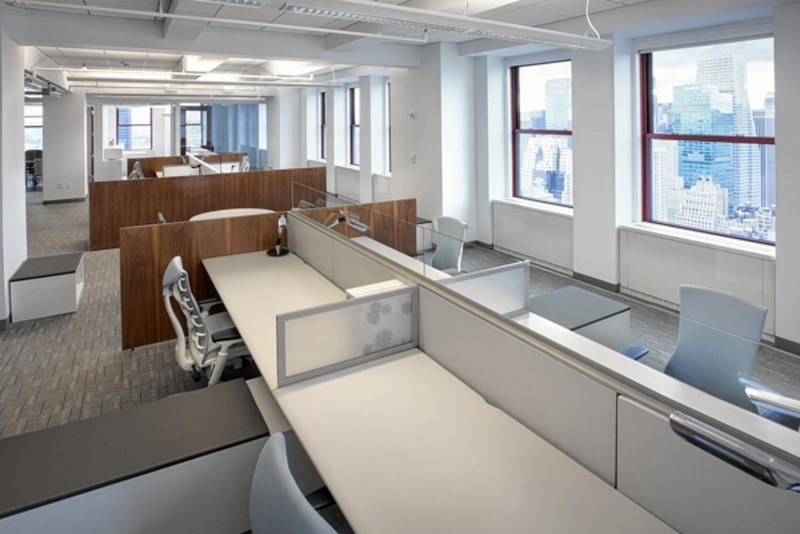 Representative of the many interior office fit outs for a nationally recognized repeat client, this 8,500 sq ft space was designed for the NY sales team of a national telecommunications provider. Located on the 12th floor of the Empire State Building, the project had its administrative challenges considering the NYC landmarks designation, and an unwavering landlord and building management team. As with all projects for this aggressively expanding client, the project involved a fast tracked process of full architectural, infrastructure and interior design services. 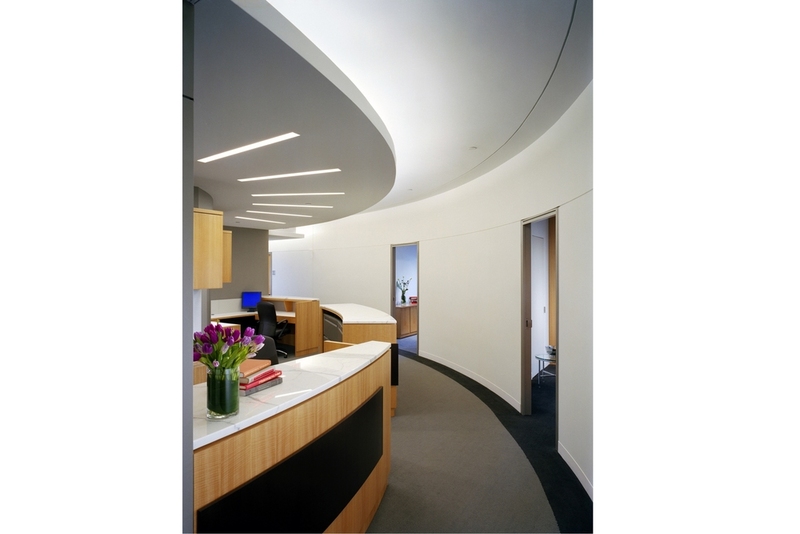 Recognizing the paradox of this historical building envelope, housing a vibrant technology company within, the diagram of the space demonstrates an “L” framed hard walled perimeter office edge, with a similar juxta positioned well-lit, open office plan, both rotated about a common vertex of – the main entry, conference room and lounge.